It’s time for me to come clean: I have a crippling addiction, and it’s starting to get in the way of work. But I am so in love with this little game, I find that no superlatives will do. The painterly art is handsome and winning. The chamber music is pitch-perfect. The writing is, I don’t know, catchy? I haven’t been so helplessly captivated by a game since… uhhh, Kim Kardashian: Hollywood, actually. 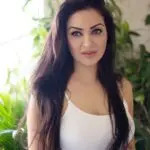 At first blush it seems like kind of a stretch, maybe — to liken Regency Solitaire to Kim Kardashian: Hollywood — since the two are very apparently nothing alike. One is a free-to-play time-and-money vacuum for mobile devices, and the other is a card game. Of course, actual gameplay is where the two games diverge. 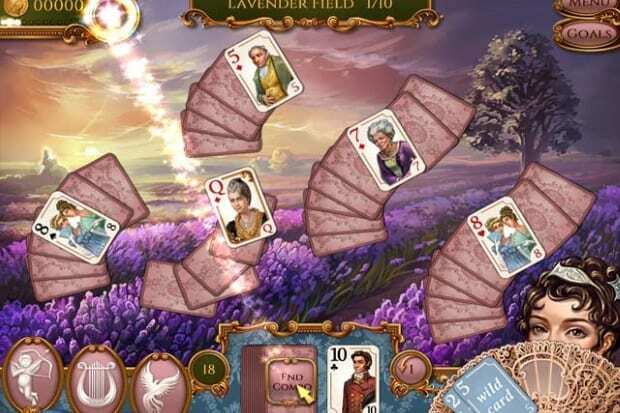 Regency Solitaire is, above all, a card game — but, because of little innovations like “locks” and “powerups,” this card game requires some strategy. The game is frequently balls-hard (although never altogether frustrating); when you manage to play a “combo” of 15 cards one-after-the-next, you will feel like a total genius. Did I mention it’s a complete scream? 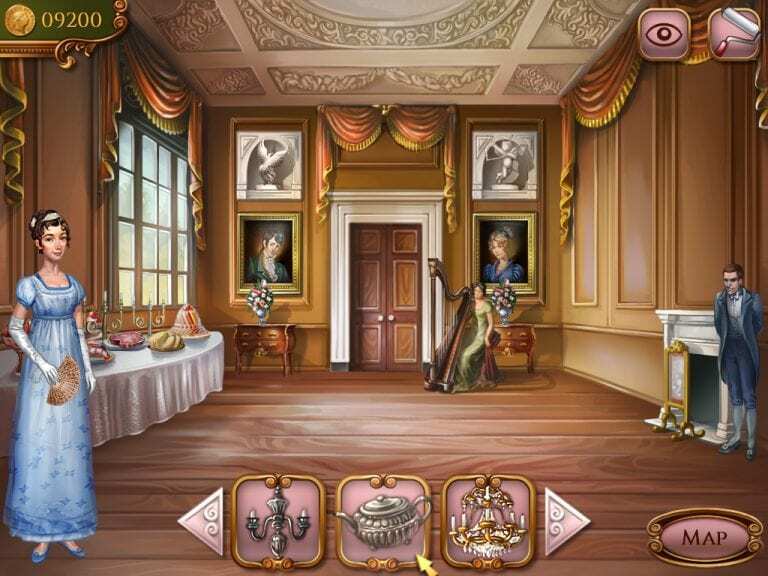 There’s something ineffably hilarious about Regency Solitaire, all while being giddily earnest and straight-faced. In short, it’s this season’s Kim Kardashian: Hollywood.